Omega Constellations of the 1950s and 60s generally featured crystals made from Hesalite, a proprietary brand of fine acrylic crystal. Hesalite is still used in preference to mineral crystal on some watches today. While saphire crystals are less likely to scratch, they shatter into tiny fragments and this can be hazardous in some environments. Hesalite is much more prone to scratching and over the years collectors and watchmakers have come up with a bevy of home and professional remedies to buff out the scratches. Below is a sample of some of the more common techniques. A Fact Sheet that explains the different materials crystal are made from. If you have perfected, or know of, a successful technique not mentioned here, let me know and I'll add it to the list. I just received my tube of "Displex" from eBay and used it to polish the Hesalite Crystal on my mid 60's Seamaster De Ville. 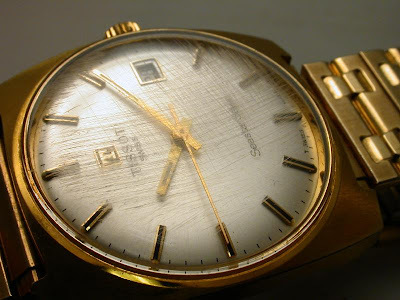 This is the original crystal on this watch and it suffered from forty some years of small scratches plus one big one. About five minutes of rubbing with the Displex took out all the small scratches! It looks new again and when I get some feeling back in my numb fingers I will gige the one remaining scratch another try. Watch out for toothpaste, I have a feeling it might make a plastic crystal more scratched. Hello my name is Peter. 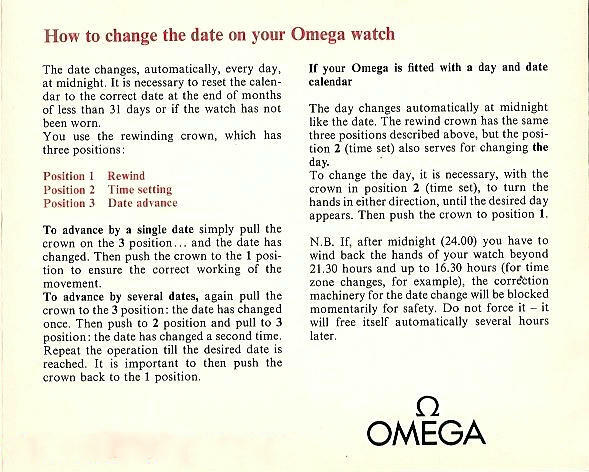 I have watch Omega Constellations, it is on one stone, 18 carat gold, with Rubin in the knob. I have a huge request, if you would be so kind and helped me to estimate what the year comes. because in Poland no one is able to help me. Click on the 'View Profile" icon on the left column and you'll see an email icon. 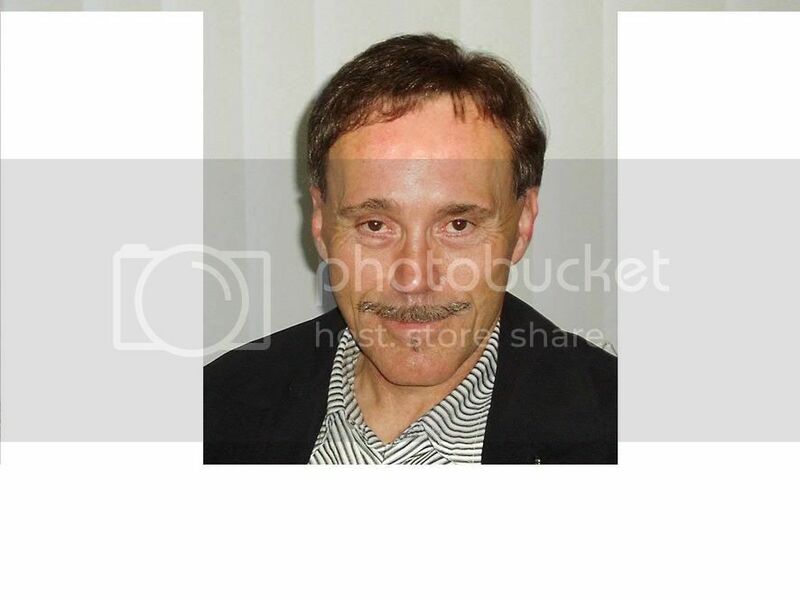 Im happy to look at some pictures.